There are no prerequisites needed to attend this course, however it is recommended that students have an overall knowledge of rigging & hoisting in NYC in accordance to DOB rules. Students must be able to verbally communicate with instructor in primary language of the training. This course is a licensing requirement for applications for a Master Riggers license with the NYC Department of Buildings (DOB) and as per Title 1 Rules of the City of New York – Chapter 100 – Subchapter D “Licensing and Registration of Businesses, Trades and Occupations Engaged in Building Work”, this course is required by the DOB to supervise the hoisting or lowering of any article, irrespective of weight, on the outside of any building. For additional information, click here. 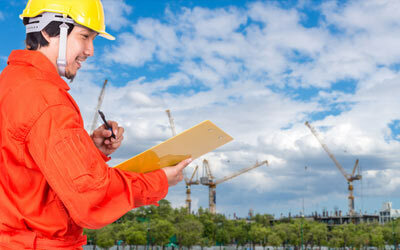 Experienced Supervisors who intend to supervise sites where hoisting and lowering of articles, in excess of 2,000 lbs. will be performed and individuals planning to apply for New York City Master Rigger’s license. During this course, participants will learn the most current rigging standards and the core management skills needed to be an effective Licensed Master Rigger. With the use of New York City Construction Codes, OSHA Regulations and industry best practices, participants will learn how to stay in compliance with the most current rigging standards. Material covered during the course will include rigging methods, installation, maintenance, repair and use of rigging hardware and equipment, guidance on how to read scaffold design drawings, how to verify the fitness of the rigging crew, properly train workers on related hazards, and also how to identify and respond to emergency situations, climber/tower crane assembly, jumping, and disassembly, critical picks, Suspended scaffolds, fall protection and more. The course will also include a hands-on portion where the instructor will determine if each student is capable of applying rope knots, terminating wire rope, building a block, effectively installing fall protection systems, and inspecting/maintaining different types of scaffold hoist motors. Students are required to complete 100% of the course and actively participate in all learning activities including hands-on demonstrations to receive the 30 Hour Master Rigger course completion certificate. This certificate is valid for 3 years.